In a major coup for Impression Healthcare (ASX: IHL), the company has appointed National Rugby League (NRL) legend Johnathan Thurston as its latest Gameday Ambassador. This development resulted in IHL’s shares surging nearly 10% on Friday morning. Over a long career as a high profile rugby league player from international to club level, Johnathan Thurston has been the face of Australian rugby league, demonstrating exceptional talents and sportsmanship, as well as having a likeable demeanour off the field. He already has a well renowned habit in terms of protective equipment, always giving a child in the grandstands his protective headgear, both at half-time and full-time. During his career Thurston has won the Dally M Player of the Year Award four times and the Golden Boot Award for the world’s best player on three occasions. His position as a legend of the game is supported by an astounding performance, having notched up the most career points and career goals for the Australian Test team and also the most career points and goals in State of Origin football, widely viewed as the pinnacle of rugby league representation, even at an international level. Thurston is particularly popular in Queensland, a state where rugby league has a strong foothold, and is played extensively in schools, a mass-market in its own right and one where affordability often stands in the way of children being able to wear properly fitted mouthguards. Consequently, this is an important market for IHL’s affordable high-quality mouthguards, as they provide parents with an option compared with the substantially more expensive mouthguards that are fitted by a dentist. IHL has negotiated a 12 month contract which includes the option to extend for an additional 12 months. 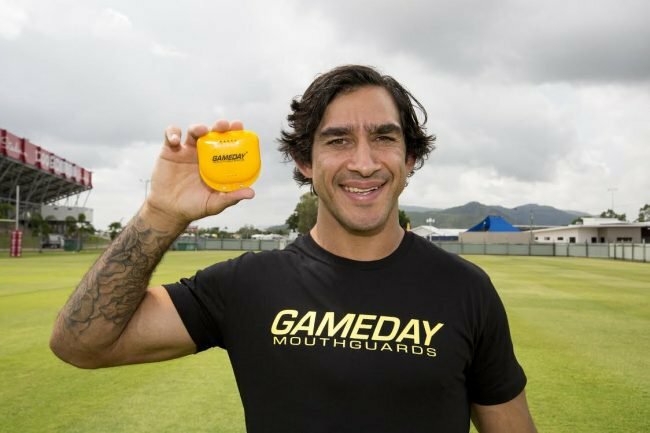 During this time Thurston will use his professional profile to promote Gameday mouthguards. In this capacity he will be featured in company marketing materials including digital advertising, electronic direct mailings, and also in a Gamedy Mouthguard’s television commercial. Marketing activity will coincide with major events such as State of Origin and other significant NRL events. Thurston will also launch his own limited edition range of mouthguards under the agreement.